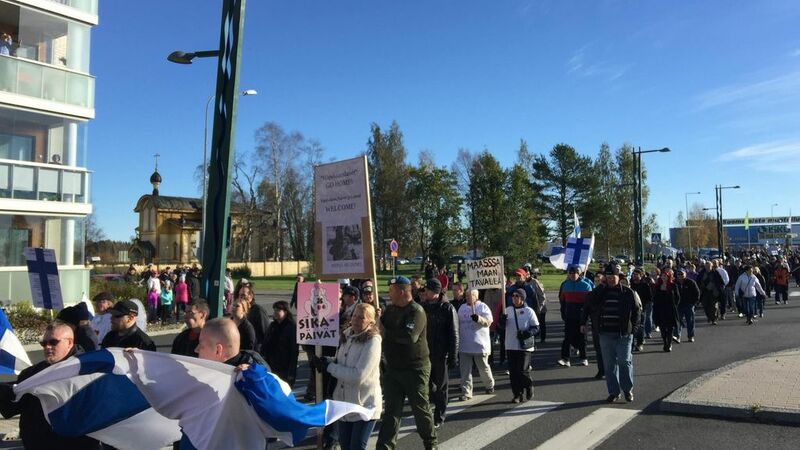 MORE ON FINLAND PROTESTS FOR-AGAINST MUSLIM SETTLER INVASION……. – The Tundra Tabloids……. MORE ON FINLAND PROTESTS FOR-AGAINST MUSLIM SETTLER INVASION……. Numbskulls for / Patriots against, the destruction of their hard won state……. 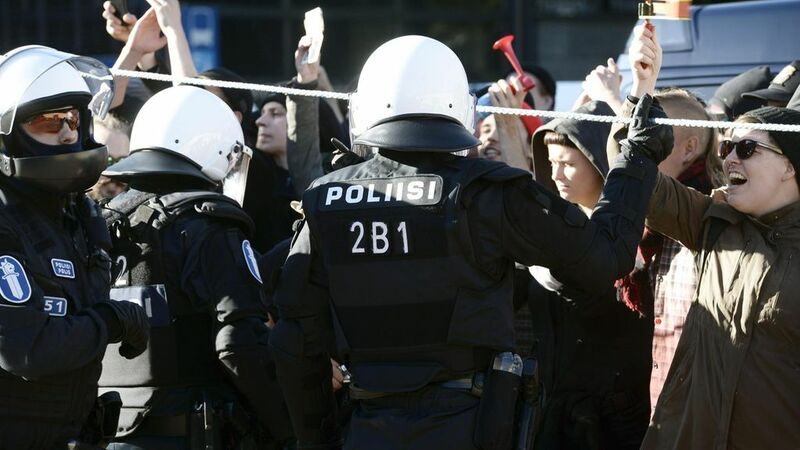 Police isolate the end of racism in Helsinki and limits caught between Narinkkatori demonstration in Helsinki on 3 October 2015. In addition to the Gulf today has been a protest on behalf of immigration and against the Tornio. Helsinki protest the police have prepared very robustly. Previous Post Previous Post AFGHANISTAN: HOSPITAL HIT BY U.S. MILITARY USED BY TALIBAN JIHADIS FOR HUMAN SHIELD PROTECTION……..
Next Post Next Post FINLAND: “EXPERTS” WANT MUSLIM SETTLERS SEEKING ASYLUM TO BE PLACED INTO JOB MARKET QUICKLY…….